2019 Artists’ Buoys are Amazing! • Big Buoy Party and Family Fun Night • Winter Classes • February Vacation Classes • Sparkle Slime and Other Great Workshops! Thank you to The Charles Fine Art Gallery for both hosting the auction and partnering with us, and to the local artists who created absolutely beautiful buoys for this year's buoy auction! We greatly appreciate your generosity and support, which make a real difference. Proceeds from this year's buoy auction will help Art Haven provide quality, affordable art education year long to the community. 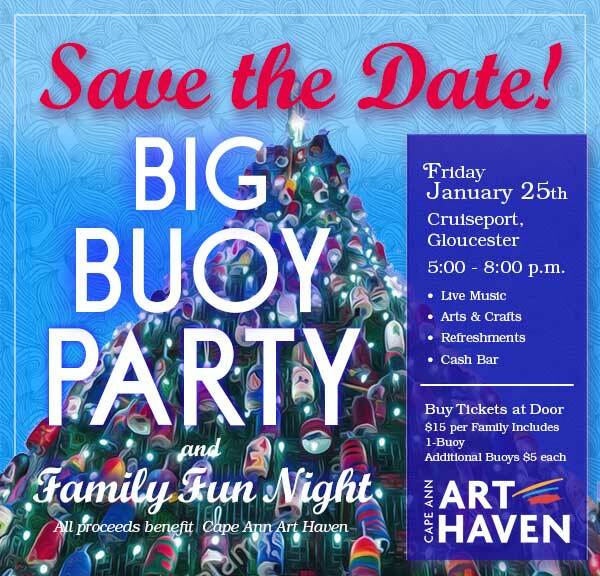 Be sure to join us later this month at Cape Ann Art Haven’s Big Buoy Party and Family Fun Night. For more information, see below. Join us for a spirited night of fundraising and family fun to support our organization. This year we have even more crafts for kids, live music, light refreshments, a cash bar and a slideshow presentation from Buoy Painting and the Tree Lighting. Artist’s Buoy’s will be auctioned at The Charles Fine Arts Gallery. See below for more information. We'll have everyone's name and buoy number at the door and volunteers to help find your buoy. Buoys can be collected with the purchase of a ticket at the door. See ticket info below. Tickets are $15 per family at the door. Pick up one buoy with the price of admission. Free admittance for children. All proceeds benefit Art Haven. Thank you for helping us bring quality art education to Cape Ann at affordable prices. 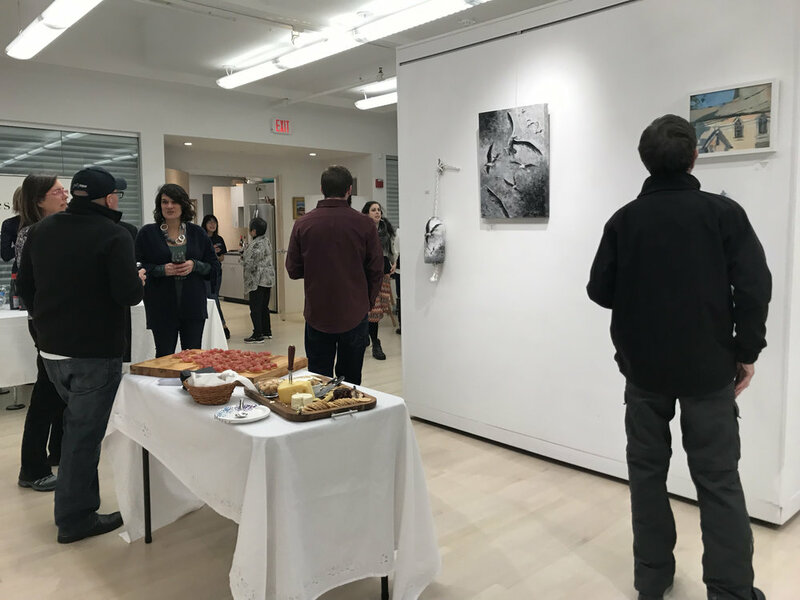 Thank you to The Charles Fine Arts Gallery who is generously hosting an exhibit of buoys created by local artists in support of Cape Ann Art Haven, and this year’s Annual Buoy Auction to benefit the organization. You are cordially invited to the gallery reception and auction. Bid on a buoy or just come to enjoy the art and good cheer! Celebrate the New Year with a NEW Mix-In —It’s Sparkle Slime!